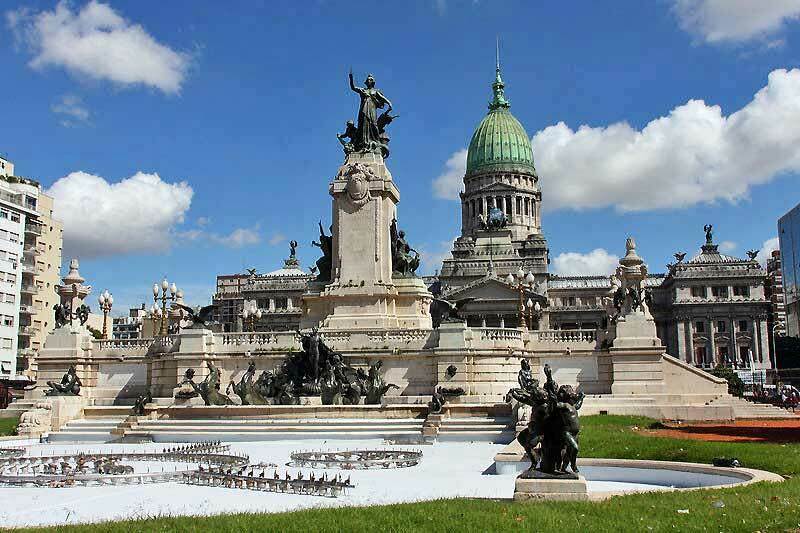 Plaza de Mayo (May Plaza) is the site of the May 25, 1810 Argentinean independence revolution. 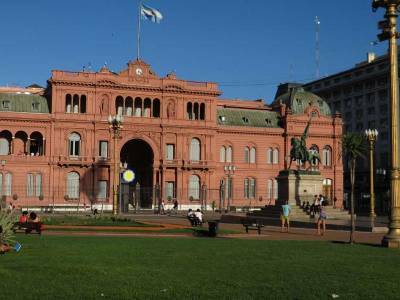 The plaza is surrounded by the Casa Rosada (Pink Residential House), the Metropolitan Cathedral, the Cabildo town hall and the May Pyramid. White scarf paintings were set on the plaza surface by the Mothers of the Disappeared in remembrance of children who disappeared during the civil war in the late 1970s and early 1980s. 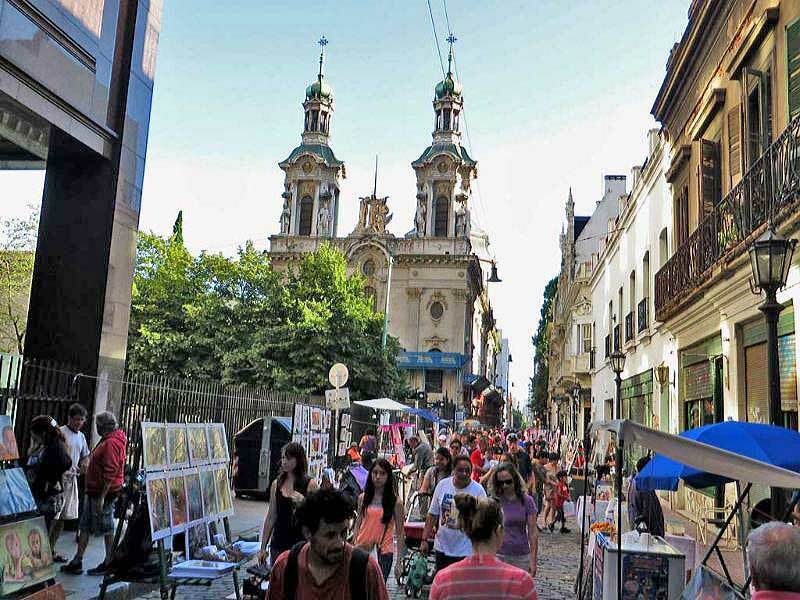 San Telmo starts at the west edge of the Plaza de Mayo. It’s the oldest district of Buenos Aires. Visit the Russian Orthodox Holy Trinity Church, the busy San Telmo Market on Sundays and Dorrego Square. Plaza San Martin – Enjoy this large park in the downtown area. Downtown is an excellent choice for accommodation with its shops and restaurants along Florida Street. Also, it’s close to attractions such as Recoleta, Teatro Colon, Plaza de Mayo and San Telmo. At the lower edge of the plaza, visit the eternal flame in tribute to soldiers who died attempting to regain the Malvinas (Falklands). 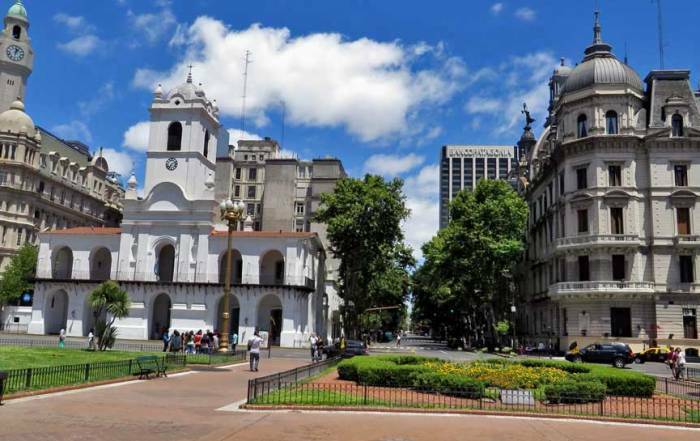 Recoleta – one of the most exclusive neighborhoods in the city. You can find elegant shops, excellent restaurants and open air cafes under its gomero trees. 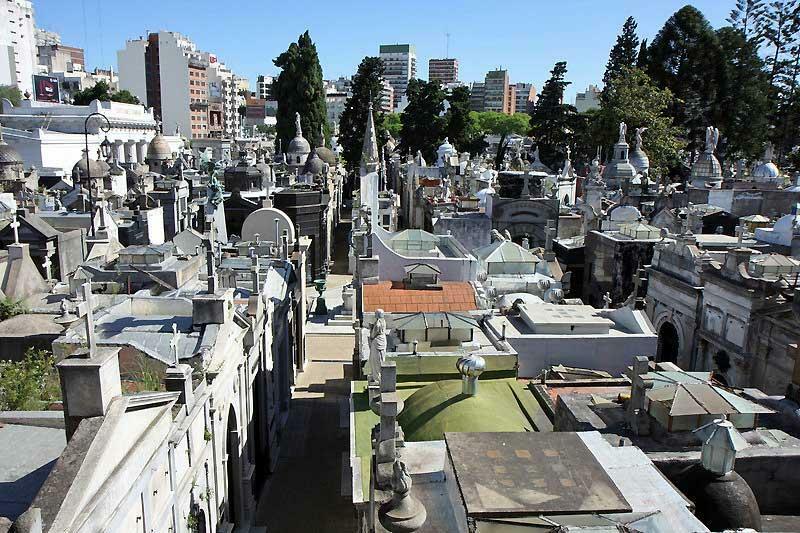 Recoleta Cemetery – visit the grave of Eva Peron (Evita) in this stone walled cemetery. Admission is free. 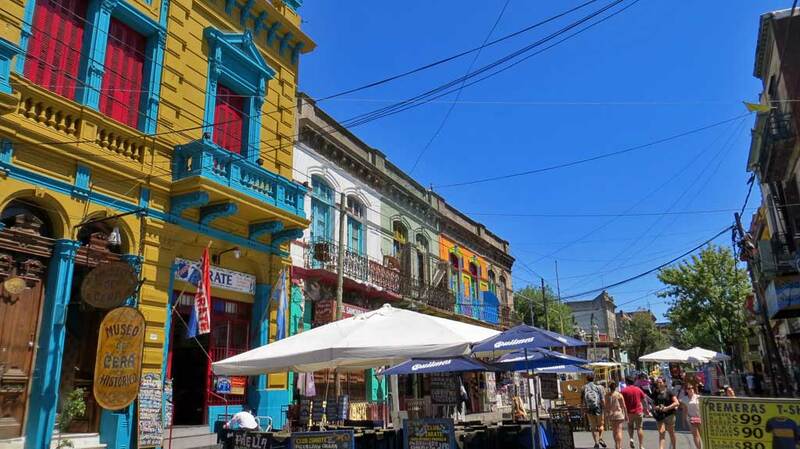 La Boca – along Caminito St, just south of San Telmo, find brightly painted buildings established by Italian immigrants. 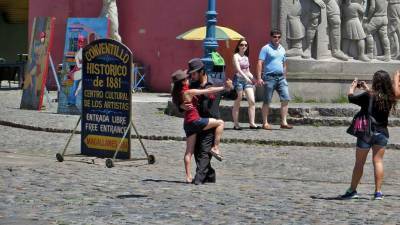 Restaurants and street entertainers perform brief tangos to generate income. Palermo – a residential quarter that is home to the Buenos Aires Zoo, Carlos Thays Botanical Garden, Buenos Aires Japanese Gardens, the Monument to the Spanish, Parque Norte Waterpark and the Planetarium (Planetario Galileo Galilei). Watch a tango. Tango is not just for late night entertainment with dinner. Many clubs (milongas) start performances as early as 3 pm. The “milonga” is the tango party after dinner. 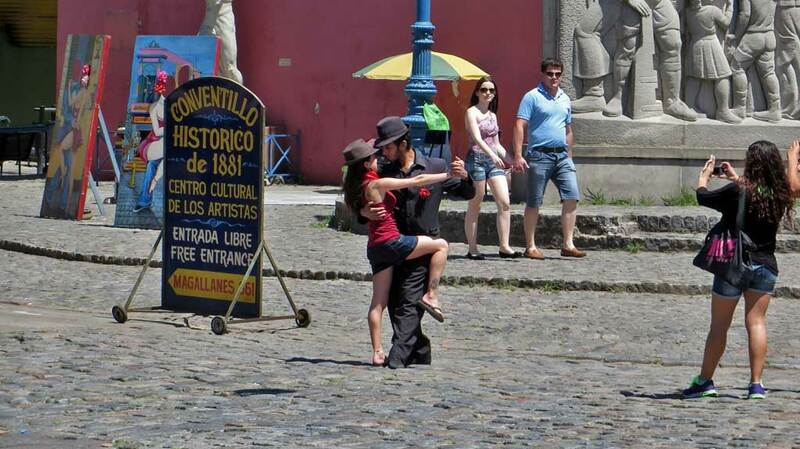 Try Club Gricel, La Virtua, La Confiteria Ideal or take a City Sightseeing Tour including a Tango Dinner Show or Buenos Aires Dinner and Tango Show. The best restaurant for steak in Buenos Aires is La Cabrera. Try to make reservations as it’s very popular. Parrilla – an open grilling pit of wood and charcoal embers. These are sometimes seen in restaurant windows. Asado – barbecued, grilled meat. Choripan – chorizo sausage sandwich. Dulce de leche – sweet caramel sauce. 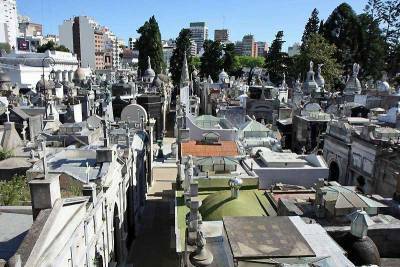 Take a Buenos Aires Food Walking Tour in Recoleta. 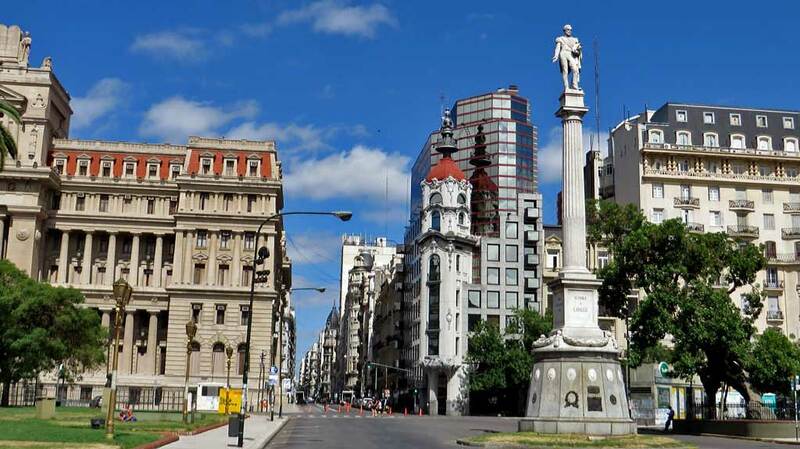 Avenida 9 de Julio – one of the widest streets in the world with up to 14 lanes of traffic. 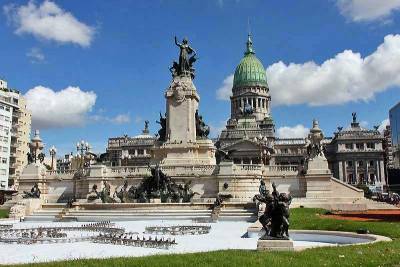 It includes the Obelisk in Plaza de la Republica and the Colon Theatre. The theater is one of the most highly regarded opera houses in the world and the pride of Buenos Aires. 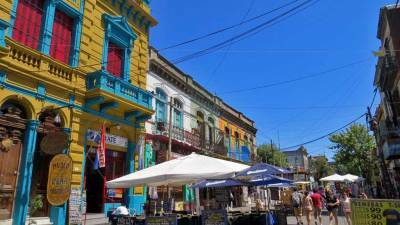 City bike tours – these are a great way to see Recoleta, Palmero, , Puente de la Mujer, San Telmo and La Boca. El Ateneo Grand Splendid – one of the world’s most beautiful book stores, with a coffee shop on the old theater stage. National Congress and Congressional Plaza. Puente de la Mujer – the Woman’s Bridge at Puerto Madero in the downtown area. This footbridge is also a swing bridge that can be rotated to allow small ships to pass. Watch a polo match at Campo Argentino de Polo. Attend a football (soccer) match. 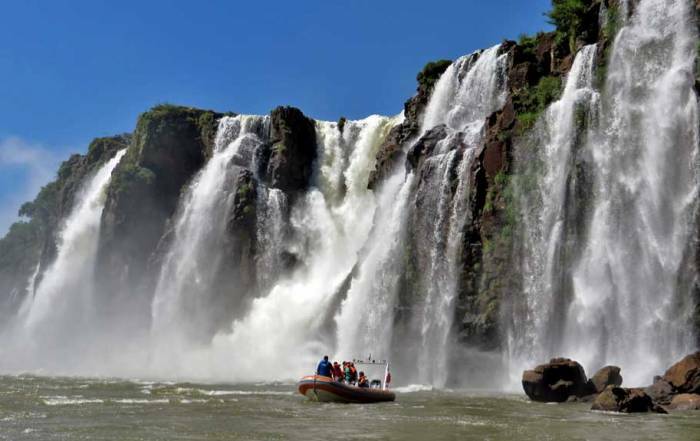 Tigre Delta – The Rio de la Plata delta bordering the city is the widest river in the world. 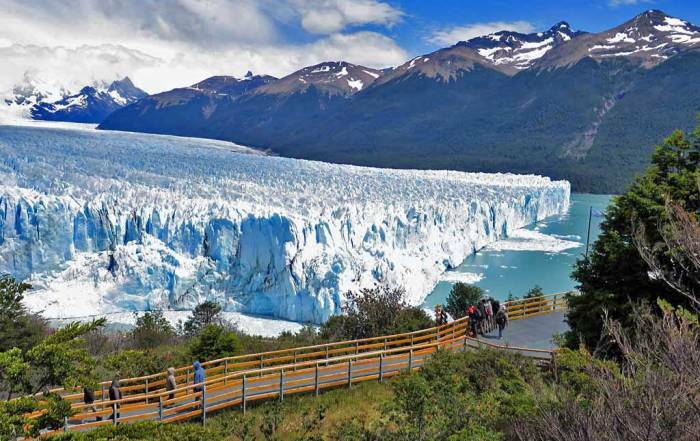 Take a Tigre Delta Day Trip from Buenos Aires. 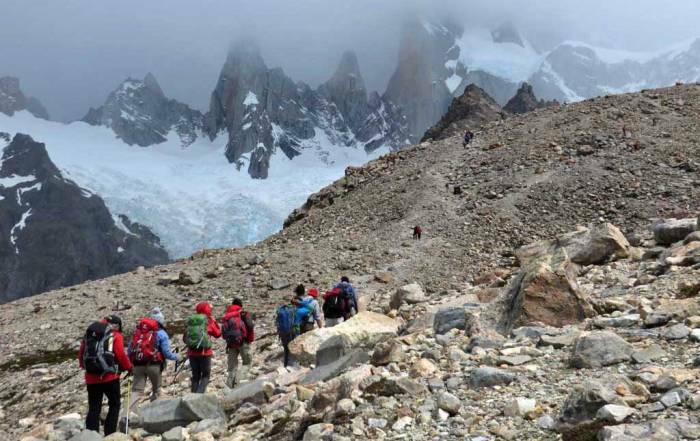 Head out on a Gaucho Day Trip from Buenos Aires to an Estancia (ranch). Watch the gauchos (cowboys) and enjoy a parrillada (Argentine beef barbecue). Polo Match and Lesson Day Trip from Buenos Aires. Take a boat to Colonia, Uruguay for the day. Travel with Buquebus or Colonia Express. The hottest months are January and February when humidity can also be very high. Expect average summer highs of 80 F (26 C) and average lows of 70 F (20 C). In the winter months temperatures are moderated by the Atlantic ocean and can hover just above freezing. 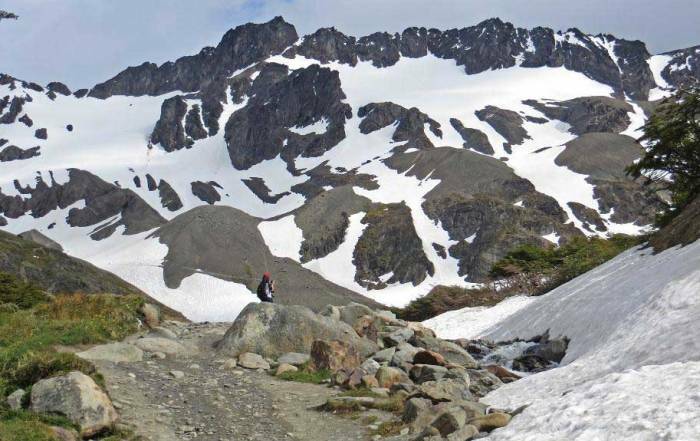 Expect average winter highs of 60 F (15 C) and lows of 50 F (10 C). Rainfall is spread fairly evenly throughout the year. Spring and fall are the best times of year to visit Buenos Aires for good weather. 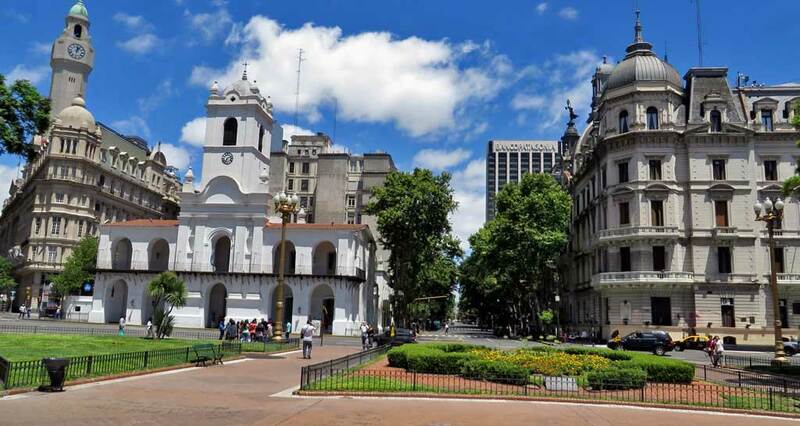 Buenos Aires, nicknamed Baires, is the capital of Argentina and one of the largest cities in South America. 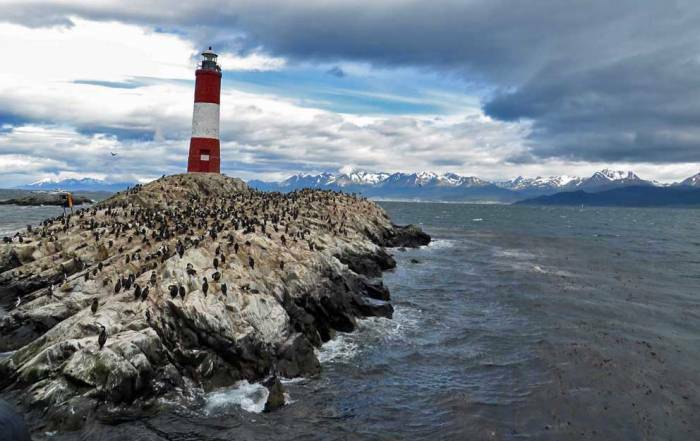 It’s located where the Rio de la Plata delta meets the southern Atlantic. The Rio de la Plata is the widest river in the world at this point. The people of Buenos Aires refer to themselves as porteños – people of the port. The city has been founded by a variety of European immigrants. Many immigrated to avoid the world wars in Europe. 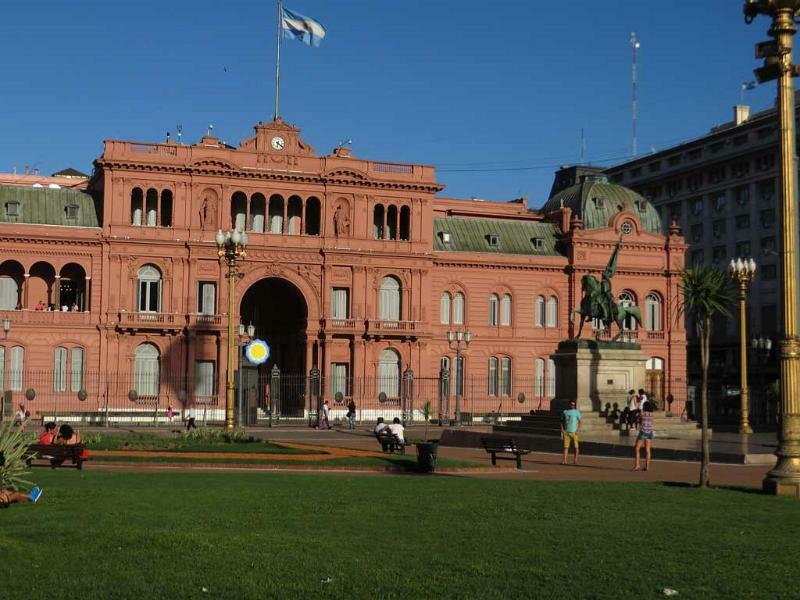 This gives Buenos Aires a central European ambiance and architecture, which is not typical of the rest of South America. 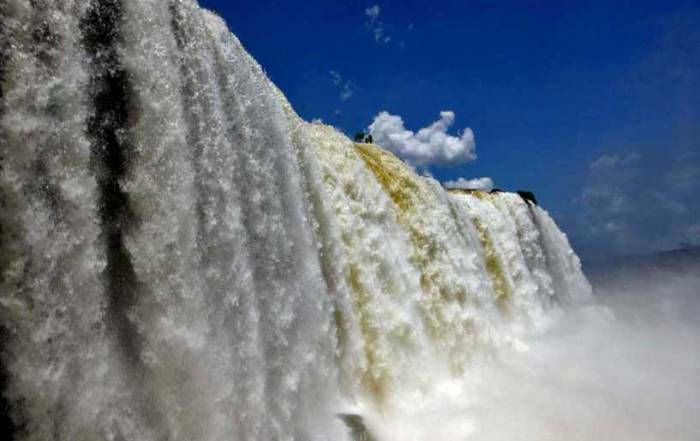 So, the city is often referred to as the Paris of South America. Buenos Aires is served by two major airports. Ministro Pistarini International Airport, also known as Ezeiza International Airport (EZE), is located about 30 minutes southwest of the old downtown area. Cabs can be purchased at a booth inside the airport. A driver is assigned and then escorts you to the vehicle. You pay the cashier, not the cab driver. A less expensive, but more time consuming option is to take the shuttle bus with Manuel Tienda Leon. The Jorge Newbery Airport (AEP) is located along the Rio Plata river about 10 minutes from downtown. This is the domestic airport used to access locations such as Iguazu Falls. The subway is extensive and inexpensive, but doesn’t cover La Recoleta or La Boca. It’s easy and affordable to catch a cab around the city. Make sure the meter is running.